Since early 2014 Aquasafe Powerboat School has been run alongside Powerboat Training UK. Both schools have been established almost 15 years and have always worked closely together and are proud to work with some exceptional instructors. Across both centres our focus is on fun, safe and inspiring training. Our main training bases are in Lymington and Poole but we also train people on their own boats throughout the UK, Europe, America, the Caribbean and even in the Middle East. We run courses throughout the year in all weathers. Our clients range from leisure boaters with their first speedboat or ‘jetski’ to clients who have owned boats for many years and now have four berth family cruiser type powerboats or larger 20m motor cruisers. We also train a wide range of commercial clients such as those helming for windfarms, construction projects or working in marinas. We work with a wide range of military and law enforcement organisations training them both in basic boat handling and more specialist areas such as boarding operations, search and rescue and helicopter transfers. 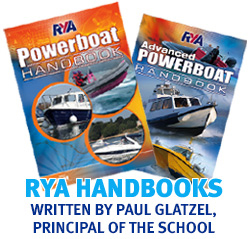 We hope this site gives you an insight into how we approach our RYA powerboat, motor cruising and jet ski courses and our shorebased and theory courses. That said, no site can ever give you the full picture so do please give us a call or drop us an email or pop in for a coffee – we love to talk boats & training!